They say no horse is free… but what’s the real cost of owning a horse? You can never say without absolute certainty what you’ll pay each month because horses are not the most predictable creatures. Sudden lameness or illness can set you back thousands of dollars in one month’s time. But, thankfully, the cost of owning a horse is typically closer to a couple hundred dollars per month, plus the cost of board. For years I did the whole ‘barn thing,’ you know where you board your horse for X amount of money in exchange for a stall and 2 meals a day. You pay extra if you want lunch, blanket service, etc. Board at a nice stable for one horse can easily cost $500 a month. With my sister and I both riding, there came a time when my non-equestrian parents had enough of #barnlife. My mom was sick of sitting at the barn for hours on end waiting for us and my dad was sick of coming home from work to an empty house. And the cost to board multiple horses was getting out of control as my sister and I continued collecting four-legged cutie-pies. I was a 12-year-old girl who loved nothing more than horses, so needless to say my excitement shot through the roof when my parents purchased horse property. I was elated to know Nikki, Aspota and Abbey (my three horses at the time) were going to be within walking distance of my freakin bedroom.That was over 15-years ago, and while I moved out of my parent’s house years ago, my horses still live there. And, boy oh boy, am I thankful for that! I know what it’s like to board at a barn but I know even more about what it’s like to keep your horses at your house. There are ups and downs, but overall I cringe at the thought of ever returning to a barn. I try to tell myself it won’t be that bad, because I know it’s eventually coming, after my parents, whom like I said don’t ride horses, get sick of living on 6 acres of farmland with no kids at home. So, Is It Cheaper To Board Your Horse Or Keep Your Horse At Home? Over the long haul, it’s cheaper to keep your horses at home, simply because you don’t have to pay board every month for their stalls. But what you save in boarding costs, be warned, you’ll spend in time taking care of the horses. Feeding, cleaning, maintaining the arena and property, this all takes time. Plus, don’t forget to factor in the costs of building (and maintaining) stalls, an arena, hay shed and anything else that isn’t already on your property that your horses may need. How Much Money Does A Horse Cost Per Year? For the sake of simplicity, I broke down each expense per horse. But keep in mind that horses are pack animals and should live with a friend, preferably another horse, but a goat, cow or sheep is the next best option. Even if you plan to spend 5 hours a day with your horse, he or she is still alone for 19 hours every single day, and that’s not healthy or fun for anyone. Not to mention, who is lucky enough to spend 5 hours at the barn everyday? I WISH! Cost Of Basic Horse Veterinary Care: Around $300 – $1,000 per year, plan to set aside at least $84 a month. These numbers reflect a horse with minor health or wellness issues. A horse with serious health or wellness issues will cost a lot more per year in vet expenses, with one surgery easily costing $10,000+. No matter how low maintenance your horse is, you’ll never get out of seeing your vet at least once a year for annual vaccinations and teeth floating. Horses get sick and hurt way more often than us equestrians would like, which means you’ll probably end up seeing your vet more than once a year. The amount of money I spend on vet bills varies drastically from year to year. Last year, I spent just $250 on my younger horses (that included his annual check-up, vaccinations and teeth floating). But my older horse, Aspota, cost me closer to $850 because he had a colic episode. After all my years owning horses, I would consider last year a cheap (and very lucky) year. 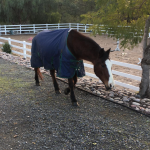 This year, I’ve already spent $2,000+ on vet bills for my older horse–and it’s only May! Keep in mind, he is an older horse with health issues. At a barn, multiple boarders often use the same vet, and so when the vet comes out for pre-planned exams, shots, etc., a bunch of boarders can band together and split the vet call fee. When your horses are at your house, you’re on your own to cover the cost of the farm visit. My vet charges a $60 flat farm call fee, but every vet is different. If you have any neighbors with horses, you might be able to coordinate vet calls with them in order to split the fee. No matter where you keep your horse you need a farrier to come out once every 4-6 weeks or so. Hoof care is just as important as veterinary care. 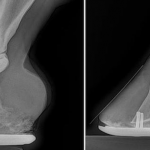 My horses only wear front shoes and are barefoot in back, which brings my costs down ($90 per horse) compared to horses that get all 4 shoes or any specialty shoeing. [I have since switched to a more experienced farrier and I am now paying $150 per horse–it’s a lot more but it’s SO worth it]. The sum of money you spend on medications is totally indicative of your horse, what he eats and if he needs any supplements or medications. Stanley, my younger horse, costs me an average of $30 a month in supplements. Aspota costs me around $80 a month because on top of his other supplement he requires a daily dose of EQUIOXX, which is around $100 for a 2-month supply. If you have nice soft sand stalls you won’t need as much bedding as opposed to a stall with rubber floors or some other hard surface. Keep in mind, sand isn’t cheap and may need to be imported to your place. Plus, over the years it has to be continually replaced. Money saving tip: If anyone in your neighborhood is building a pool, see if the contractor is willing to give you their dirt for free or for a small drop-off fee. This worked for us and gave us over $300 in fresh DG free of charge. Shavings can be ordered in bulk but if you’re like me and don’t have a place to store a mountain of shavings, you’ll have to buy them by the bag. I pay around $10 per large bag and I easily use 2-3 bags per week filling the front half of my older horse’s stall. 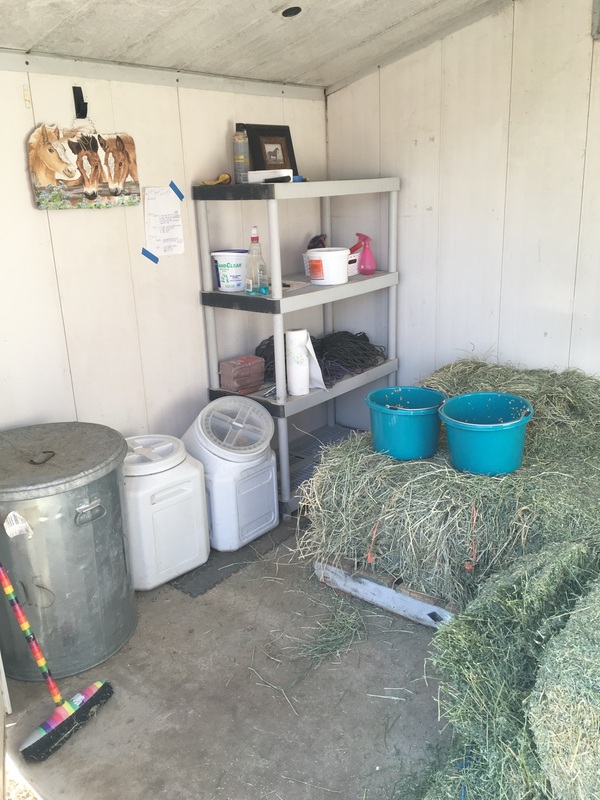 Some barns include the cost to feed a horse in boarding fees and others do not. Either way, you are never going to avoid paying for your horse to eat. In southern California hay prices are high! I spend around $100 a month feeding each horse hay, so around $200 total per month for 2 horses. 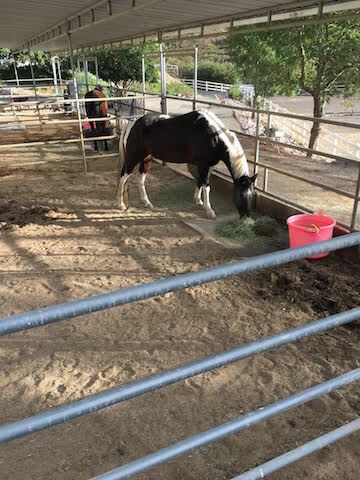 I also feed each horse an additional $60 of oats and Bermuda pellets for a grand total of $260 to keep them happy and well-fed. If you have just one horse, divide that up by 2. Grand Total: What Does A Horse Cost If You Keep It At Home? If your horse lives at your house you can expect to spend around $434 per month keeping him/her happy, healthy and well-cared for. Of course, costs will vary significantly based upon your horse’s month-to-month needs. Some months may range closer to $200. On these gloriously affordable months, I suggest setting some dough aside for a rainy day–or rather, a day when you’ll need to make it rain on your horse, with dollar bills. What Does a Horse Cost if You Board at a Barn? Board at a nice barn can easily cost $500 a month. The average facility charges $400-$500 per month, with some fancy-pants stables charging $1,000+. It is almost always cheaper to keep your horses at home vs. paying to board at a barn. But, that doesn’t mean it’s cheap to keep your horses in the backyard. The same fences you paid to put up are eventually going to get knocked down by unruly hooves. Pipes will break, floods are sure to happen, and the next thing you know your arena footing needs to be redone. 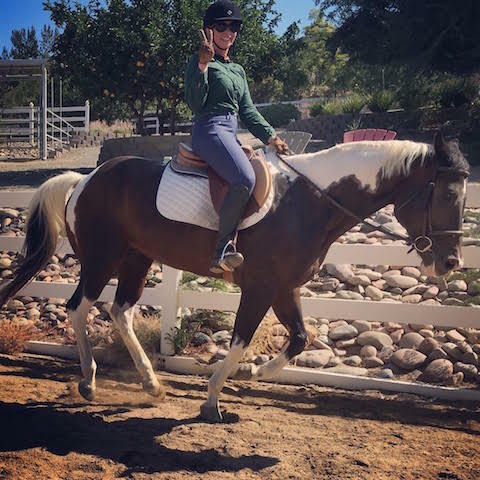 All in all, it’s never cheap to own horses and you should always plan to spend more than you calculate in your head–no matter if you board at a barn or keep your horses at home. When horses are involved, it’s all too easy for something to go wrong and expenses to tally up faster than you can shout: OVERDRAWN BANK ACCOUNT–SOS! Do you keep your horses at home? Are your expenses similar to mine, or do they vary drastically? I’d love to hear from ya’ll!